The interface is extremely intuitive and welcoming to novices, it takes security very seriously, offering a vault for you to store your coins in, and it’s trading fees are competitive. But now there’s another reason to choose Coinbase as your go-to cryptocurrency platform – it’s added Ethereum Classic (ETC) to the family of coins it supports, and is likely to add further assets in the future. The addition of ETC brings the total number of coins supported by Coinbase to five. The others are Bitcoin, Bitcoin Cash, Ethereum and Litecoin. ETC trading and receiving is available in every country that Coinbase operates in. “One of the most common requests we hear from customers is to be able to trade more assets on Coinbase. Ethereum Classic is just a first step in that direction. This is great news for existing Coinbase users but will also boost the number of new sign-ups by people who have previously been put off by the limited choice of coins on offer. It’s very difficult to find a simple, non-geek, explanation of how ETC came into being, but effectively it was born from a split from the Ethereum blockchain in 2016 after a hack and the theft of some funds. The jury is still out on whether ETC is a cryptocurrency that is here to stay, or one of the 90% or so around today that are predicted to go the way of the Dodo over the coming years. It’s much cheaper to buy than Ethereum but still suffers from the wild price swings that affect all tradable cryptocurrencies. And like these, it follows a similar trajectory as the highs and lows of the daddy of the cryptocurrency world – bitcoin. If you’re confident that ETC has a future then you can head over to Coinbase and buy some to add to your portfolio after opening an account and completing a simple set-up process. 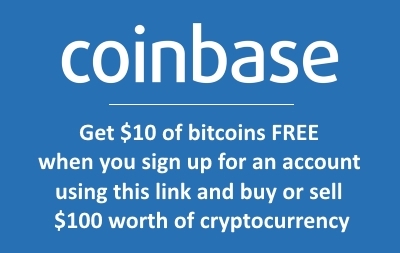 Coinbase also offers a generous bonus for signing up through a referral link. 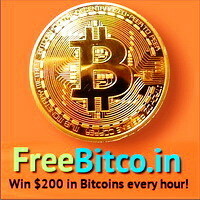 By using this to sign up with you’ll be rewarded with $10 worth of free bitcoin as soon as you buy or sell $100 or more of any of the coins supported by the platform. In the interests of full disclosure, we as the referrer will also be given $10 of bitcoin from Coinbase, but this comes from them and not you! NB: The information contained in this article in no way constitutes financial advice. The price of cryptocurrency can fall as well as rise and often exhibits large price movements in a short space of time. Investing in cryptocurrency is highly speculative and you could easily lose some or all of your investment in a short space of time. Trade at your own risk.